Fifty-nine grizzlies in the Yellowstone ecosystem died in 2017, and 15 of those deaths were because of hunters acting in self defense. Instead of shooting the hungry bear, conservationists want hunters to use bear spray. A study by the Interagency Grizzly Bear Committee showed that bear spray is actually more effective than firearms at fending off threatening bears. Grand Teton National Park already requires hunters to carry bear spray during elk hunting season. 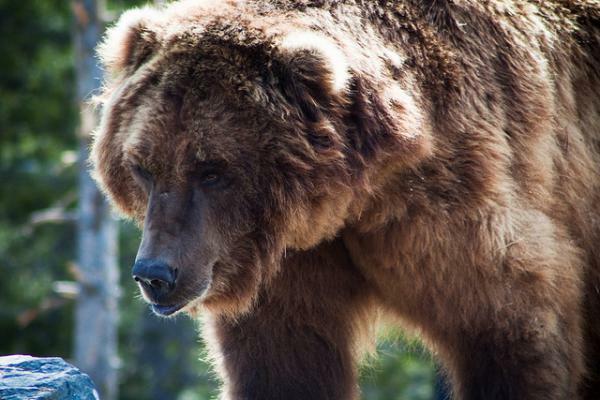 This past year has been turbulent for the Greater Yellowstone grizzly bear. It was returned to the threatened species list last fall shortly after the state made plans to begin a grizzly hunt. Now, because of their uncertain status, people who live in grizzly habitat are frustrated, and some grizzly experts are fearful that the bear is losing support from its human neighbors, and experts say that local support is vital.